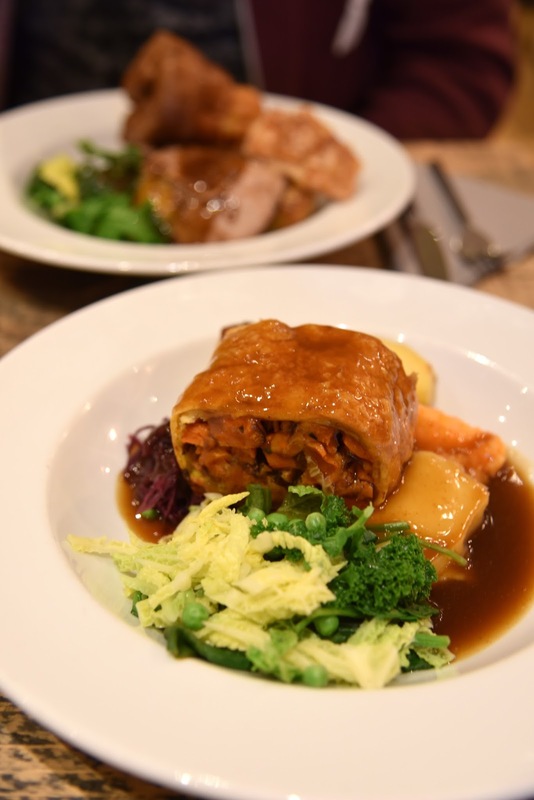 Something that is a massive pet peeve for me, which I've mentioned before is as a vegetarian, wanting to go out for a Sunday dinner and being met with the veggie option of tomato pasta, or risotto or pretty much anything that isn't at all like a roast! 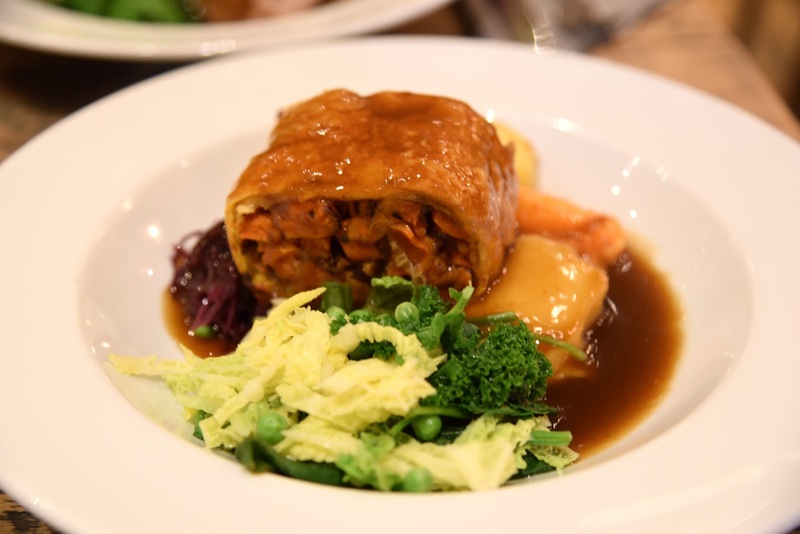 There are so many veggie options that can be amended to suit vegetarian diners who still want a Sunday lunch, so I was so so pleased to see this when we visited Hinnies in Whitley Bay this weekend! I'd definitely recommend booking if you're planning on visiting for Sunday lunch, we saw about 4 sets of people get turned away as they were full! 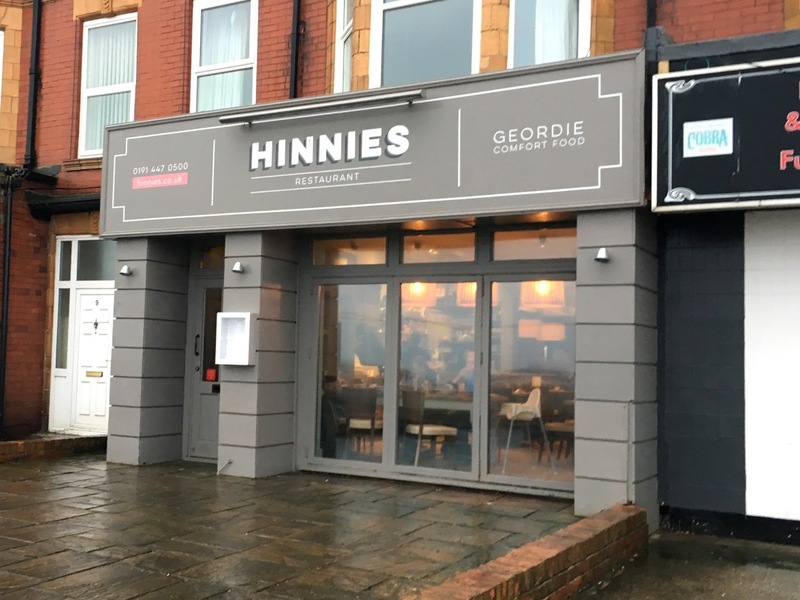 Hinnies comes from the Blackfriars and more recently Dobson and Parnell family (which I am still to try, it looks lovely!) owned by restauranteur Andy Hook. The ethos of this lovely little spot is freshly cooked food in a relaxed and informal setting, which is exactly what we got! I'll be honest it doesn't look much from the outside, but as soon as you're in you're transported into a warm inviting environment, kitted out to look like a modern version of a family kitchen with traditional knick-knacks. 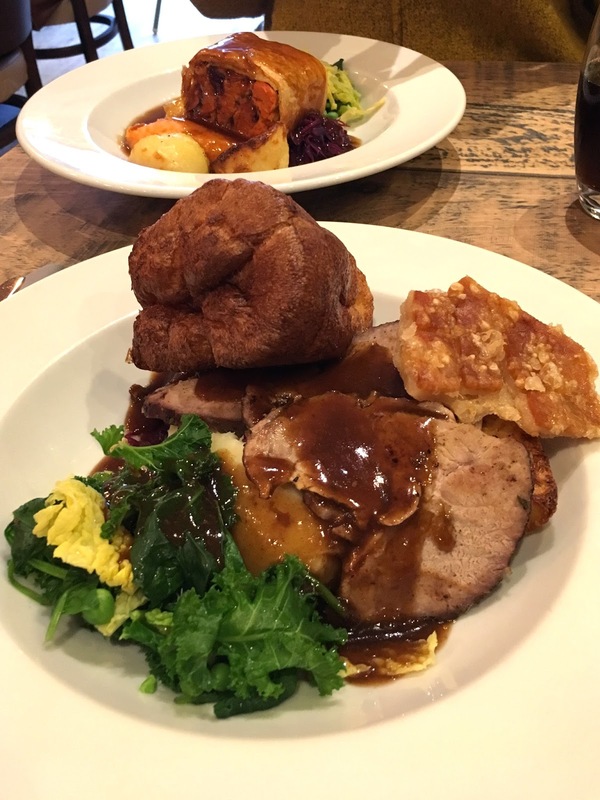 The Sunday menu is great value at 2 courses for £15 and 3 courses for £18, they also serve brunch at weekends until 12pm which also sounded great! I was really pleased to see vegetarian, vegan and gluten free options on the menu, there were in fact 3 things I could've chosen which hardly ever happens! I decided on the sweet potato, chestnut and blue cheese Wellington, served with an assortment of veggies, mash, roasties and veggie gravy. I was so impressed with this, I've never had a veggie style Wellington and it was delicious! The veggies were well cooked and the mash was smooth and creamy and most importantly, there was plenty gravy! Steven ever the carnivore went for the roast shoulder of pork, the other meat options included Northumbrian beef or chicken, served with Yorkshire pudding, seasonal veg, roast potatoes and gravy. He said it was one of the nicest Sunday lunches he's had, and we get out a lot! He said the pork was perfectly cooked and the crackling was nice and crisp. He thought that the gravy was great and full of flavour and everything was still hot while he was eating it, roasts and notorious for getting cold quickly! I'm not exaggerating when I say the pudding menu is one of the best I've seen, I have a massive sweet tooth but normally theres only 1 or 2 things that take my fancy, but not here! I was spoilt by the choice of spiced apple crumble, sticky toffee pudding, Singing' Hinnies, warm chocolate peanut butter brownie or creamy rice pudding! 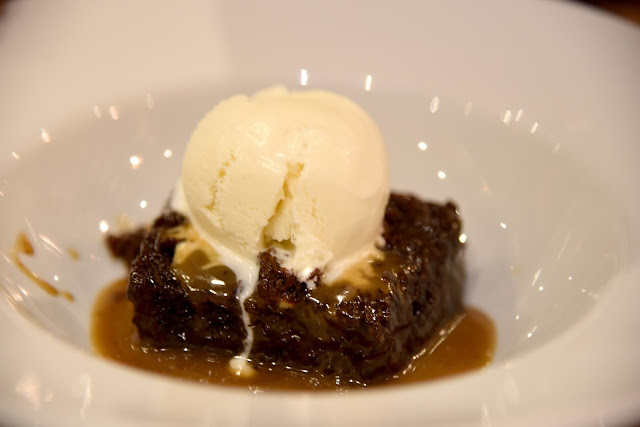 In the end both me and Steven went for the sticky toffee pudding with salted caramel sauce and banana ice cream, it was delicious! The banana ice cream was to die for! Hinnies is somewhere that looks unassuming from the outside, but it really is a gem, the service was fast and friendly even with the place being fully booked, the food is brilliant quality and is definitely great value, we'll definitely be back! Oh my gosh, this all looks DIVINE. I'm a bit far out to just pop here for a dinner, but if I'm ever in the area, I'm definitely going to keep it in mind! You had me at Wellington, I'm not veggie but I would definitely order that!